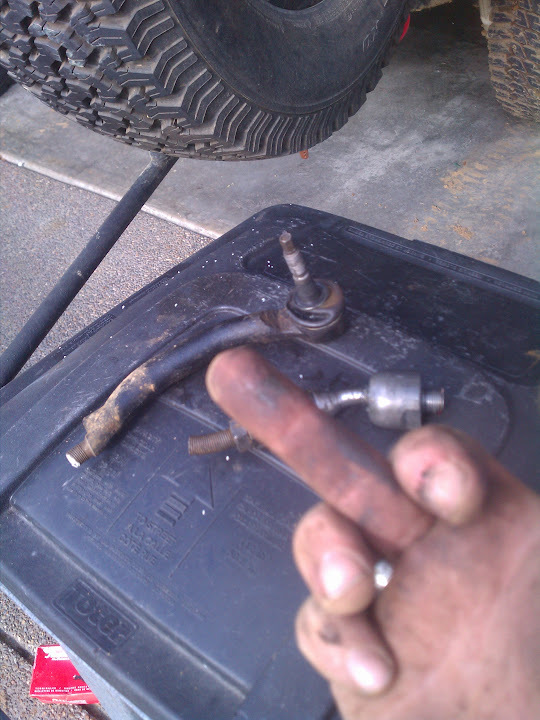 I needed to go get more tie rods today. Sigh. 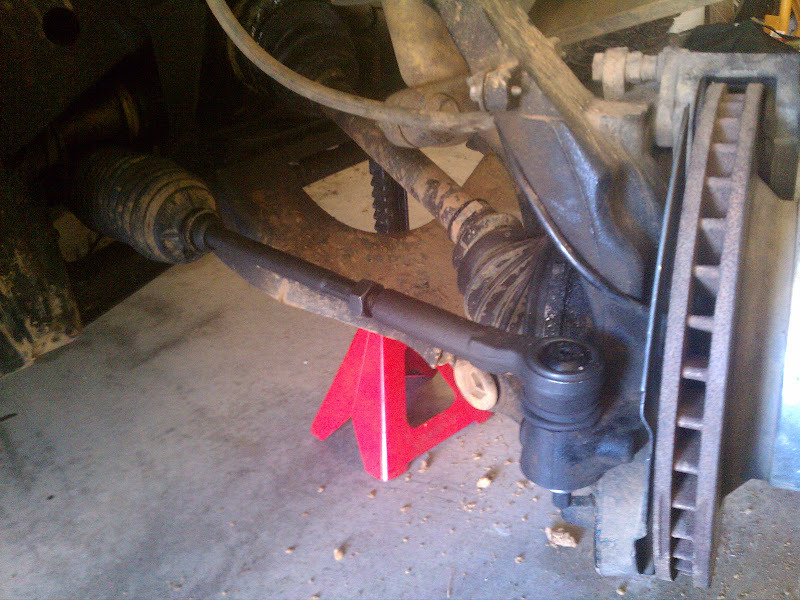 Behold, an 07 Silverado 2500HD tie rod! ... and look at this! Also, crawling under the truck reveals it's also compatible lengthwise! It looks like I'll need to drill out the knuckle though. BACK TO THE GARAGE WITH ME! I'll report more as I find it today. How are you going to drill out the knuckle for that taper? The 3/4 ton TRE threads are 14mm and the taper ends in 17mm. The stock TRE threads are 10mm and taper to 13mm. I'm going to drill a 17mm opening 5/8" in and then step to 14mm. I realize this puts extra strain on the stud, but we're still just as strong if not stronger than stock. I'm considering flipping the TRE to the top of the knuckle now, but I need to see if there's enough material on top to make a 17mm hole viable. 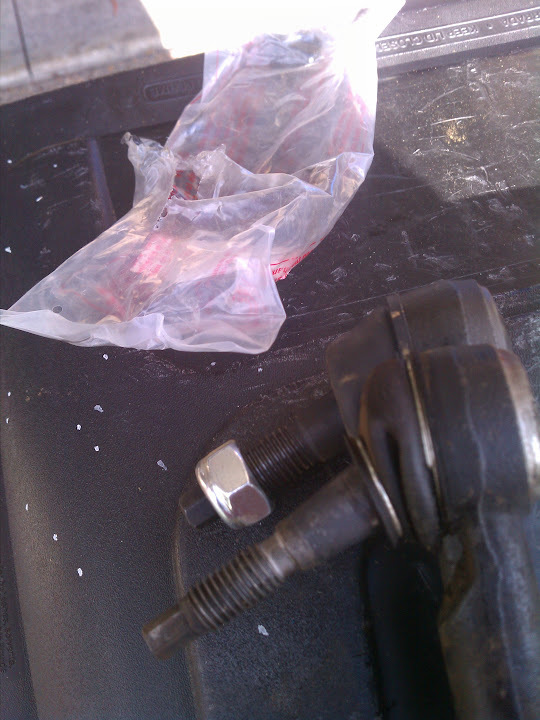 I also need to run over to the other house and grab my calipers so I can stop "estimating" with open end wrenches. 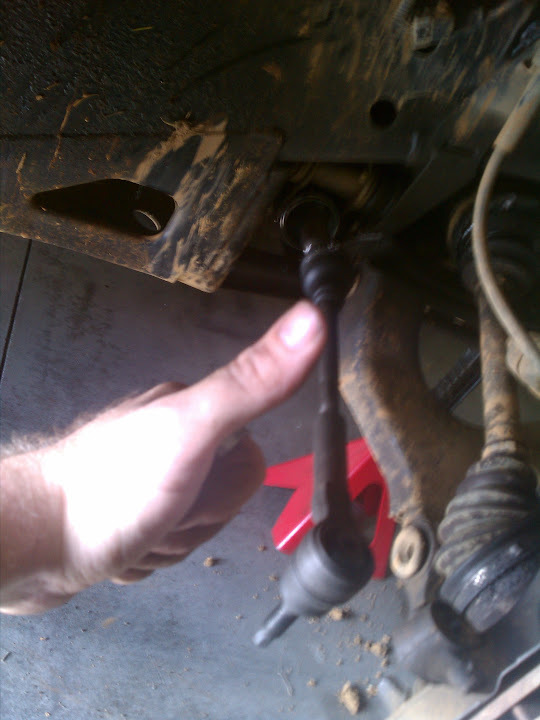 Do they make those tie rods with the 16mm inner thread option? Or is this going to be a 2002 only? 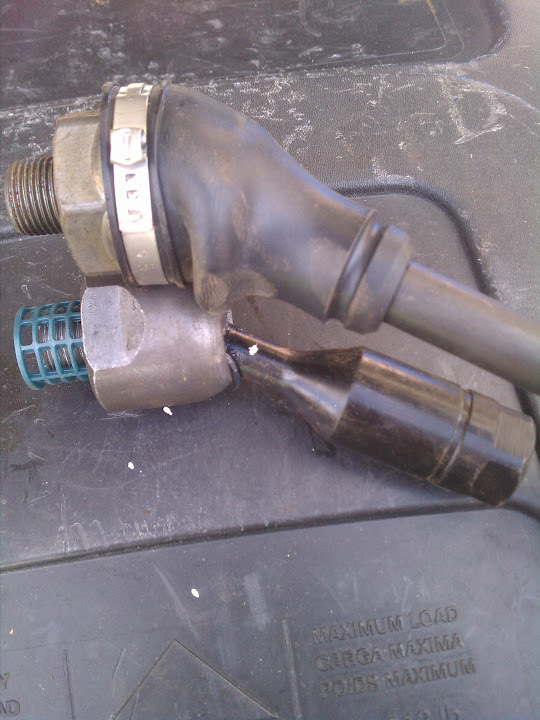 JamesDowning wrote: Do they make those tie rods with the 16mm inner thread option? Or is this going to be a 2002 only? 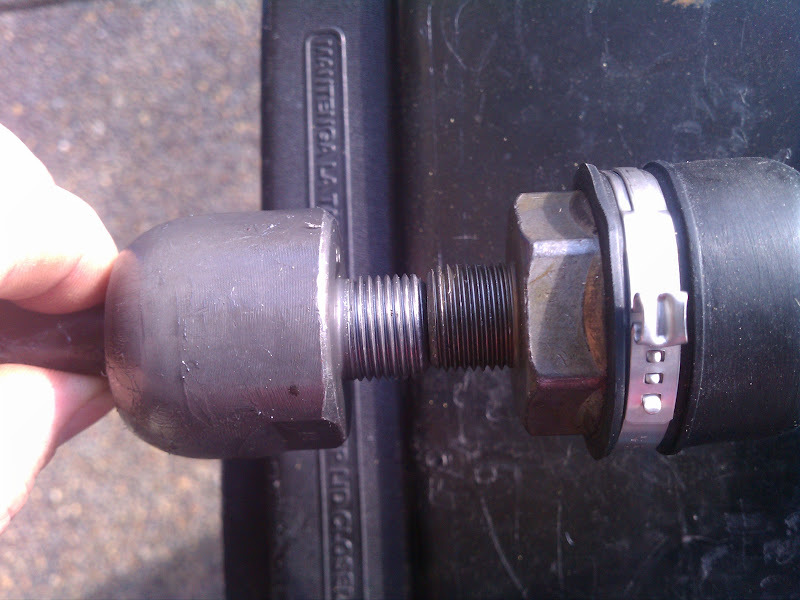 Interestingly enough, while I'm equipped with the early 14mm, the threads on the rack side of my inner tie rods are 18mm. What size are they on the 16mm? I also ran across the fact that H3s underwent a similar 14mm to 16mm conversion mid production. There may be some answers there as well. You know, I don't think I've measured it. I thought someone said it was the same size... I'm sure Bill knows off hand. fishsticks wrote: I'm going to cheat. eh... I'm not sure how that's going to work.. You'd have to do what you propose, then take a die grinder in there and taper out the part that's going to hit in the middle, all the way down to not taking anything out at the bottom (which I guess is the top)... 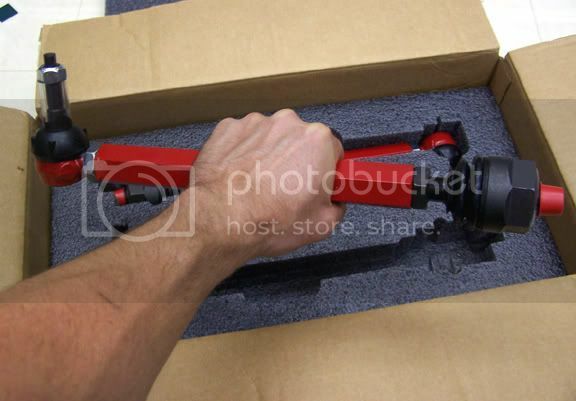 Being that new knuckles are almost certainly more than the $80 you're going to have to spend anyway, doing them right (after you replace them and the tie rod ends), why not just do it right to begin with? I found a step-less cone shaped drill bit at good old HF today. I'm using it to ream out a nicely shaped hole that matches the taper of the TRE. I of course am trying to do this in between answering phone calls/emails for work, and I totally forgot my corded drill at the other house, so I'm using the battery powered one. It's slow going, but it's coming along. What about a straight drill through and use a tapered bushing? Does the taper on drill match the TRE? 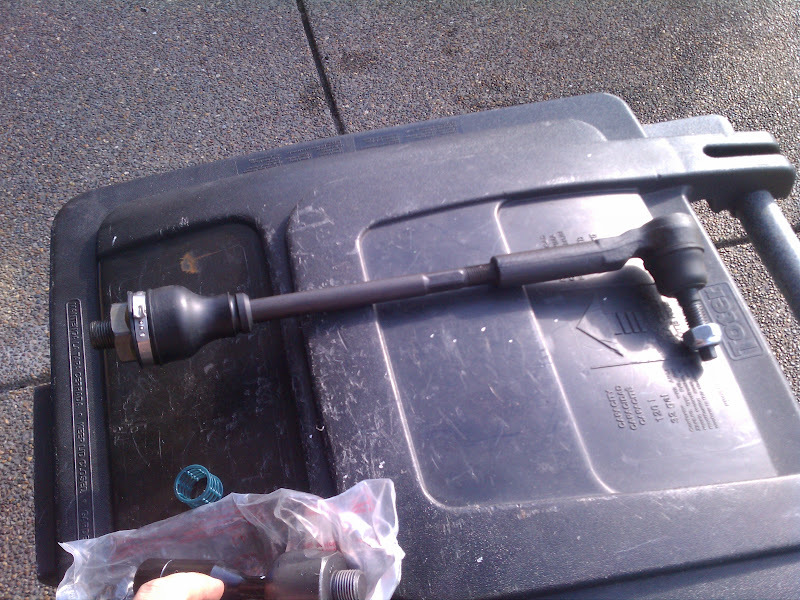 Donny, why not pull the steering rack out of a newer wreck and get the correct upgrade? Diacom wrote: What about a straight drill through and use a tapered bushing? 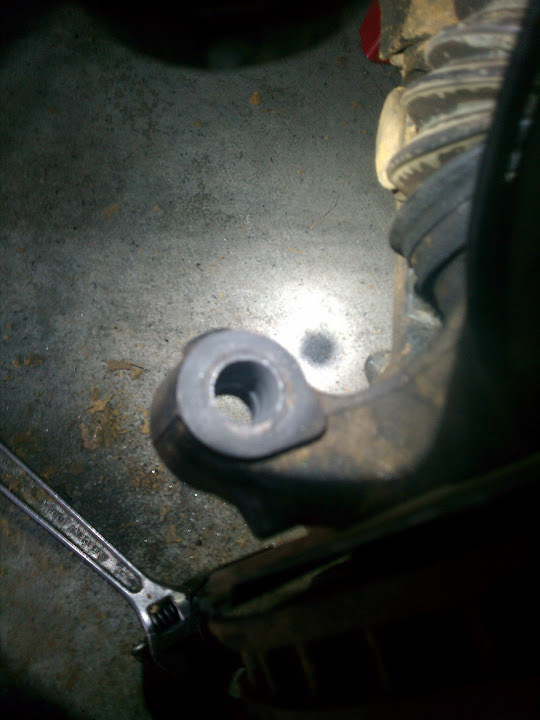 That could potentially work if the bushing was hard enough, and was a C, so that tightening the nut on the tie rod would expand the bushing into the knuckle. bgwolfpack wrote: Donny, why not pull the steering rack out of a newer wreck and get the correct upgrade? Because the 16mm TREs are still curved, the inners still have a ridiculously thin section at the ball joint, and I'm tired of replacing broken ones. For my mission, it's not the correct upgrade. These are straight, have much less exposed thread area (the weak part), are a DREAM to adjust compared to ours, are cheaper, more readily available (turns out they fit ALL recent full size trucks and vans), and will dovetail nicely with my NEXT mod. To answer the other question, the bit is within 1 degree of the TRE taper. I ended up running a 1/2" bit down through from the top, then opened it up with a 9/16" bit. Then I ran a 5/8" bit down in stages and followed it with the tapered bit. I cut a little at a time and then test fit the outer TRE until I had good seating and no wiggling before tightening it down. The bottom 1/3rd of the hole required no resizing. I have it roughed in for alignment right now. I had to unbolt the camber plate and pry it outwards to get my tire to move back forward, so I'll need an alignment anyway. Also, my LCA bushings are shot. I got the one side done today, I'll try and get the other one done tomorrow. I'll keep it on surface streets for a week or so and keep a sharp eye on everything for oddities. Very cool. Looks like the pieced together ones Alek was dreaming about a while ago. JamesDowning wrote: Very cool. Looks like the pieced together ones Alek was dreaming about a while ago. I wish I'd known, I'd have compared notes with him. Another test drive around the block has convinced me there's something very wrong with my front passenger LCA, as the tire is hitting the slider again. I'm not sure if I completely disintegrated the front bushing or what but there's an easy inch of slop in it. I'm ordering a new one tonight rather than put it off any longer. Nice mod Fish!! Seems like one a few of us could use, suprised Roadies not here yet.. You should have bought the Taper cutter though, I would have bought if from you for a slight discount, then sold it to the next person to do the mod. Get it passed around all of the US before its done..
OregTrailBlazin wrote: Nice mod Fish!! Seems like one a few of us could use, suprised Roadies not here yet.. You should have bought the Taper cutter though, I would have bought if from you for a slight discount, then sold it to the next person to do the mod. Get it passed around all of the US before its done.. There's a good chance I still will pick it up just to get them perfect. Right now they are good, and the truck is still down while I wait for new LCAs to show up. I'm stretched a bit thin right now as well... If I could get a couple clients to pay on their invoices I'd order it today. 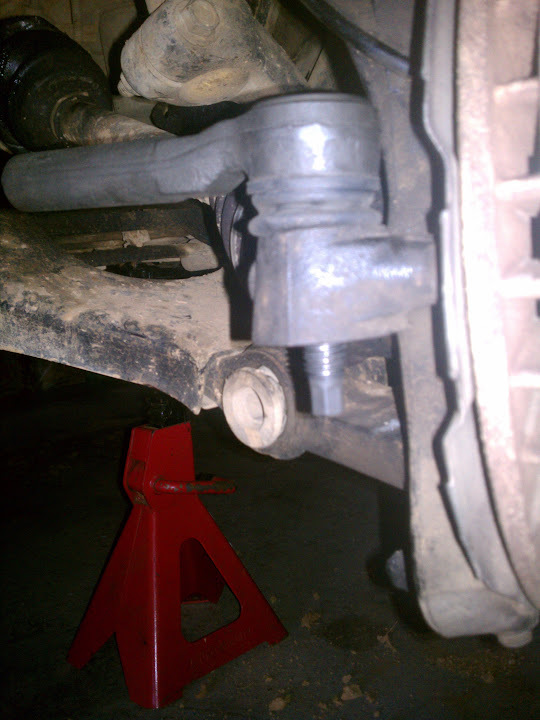 My tie rods have always been at differing angles than my LCAs. It's more pronounced now, but the LCAs are going to be moving downwards soon anyway. That should fix the issue.